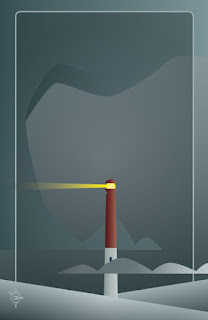 After posting Loneliness From the Noo Spinoolean Tarot, my aunt remarked how she was reminded of a particular lighthouse and the changes around her home in the wake of Hurricane Sandy. After she revealed which lighthouse she saw standing out from the stormy background, I redrew the card. I love that.....come out and see it in person!